Untouched Japan. An escorted small group tour of Shikoku, Kyushu, Shodoshima and Miyajima Islands. This exclusive tour will take you to see parts of Japan that most guide books have not yet discovered. Come with us to experience Japan off the beaten track. 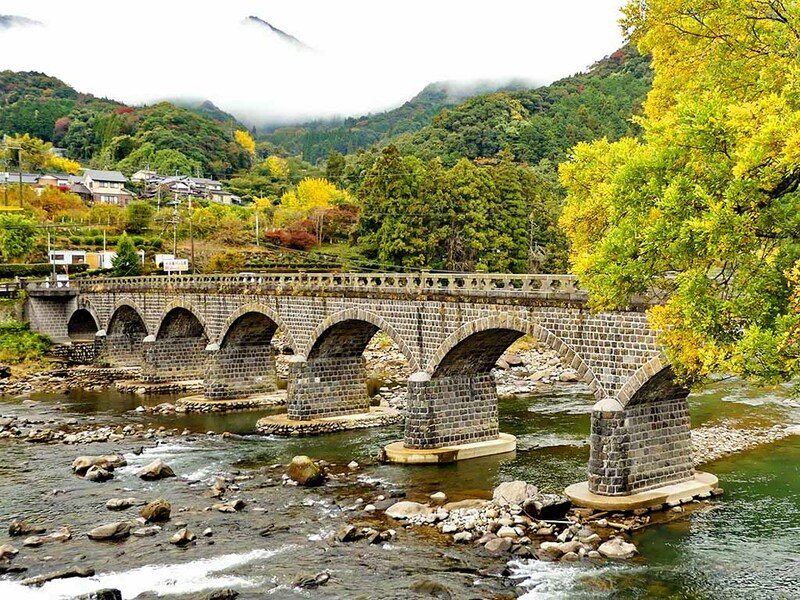 Toursgallery will introduce you to a totally overlooked region that is full of dramatic landscapes, rural villages, tiny boat harbours, wild coastal scenery, castles, Japanese traditional gardens and autumn coloured foliage. We stay in a variety of Western and Japanese accommodation from traditional Japanese Inns to deluxe western style hotels. 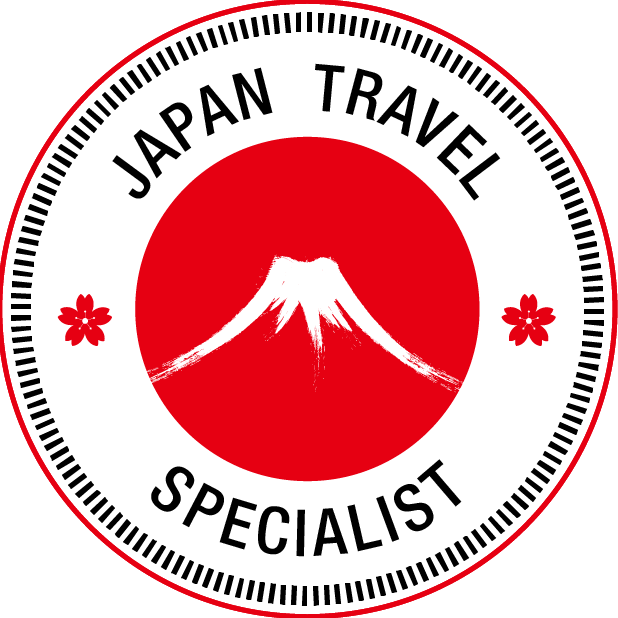 Destination Management has been operating off the beaten track escorted tours to Japan since 1983. Our personal contacts in Japan will ensure you of an in-depth experience that other tours can't match. 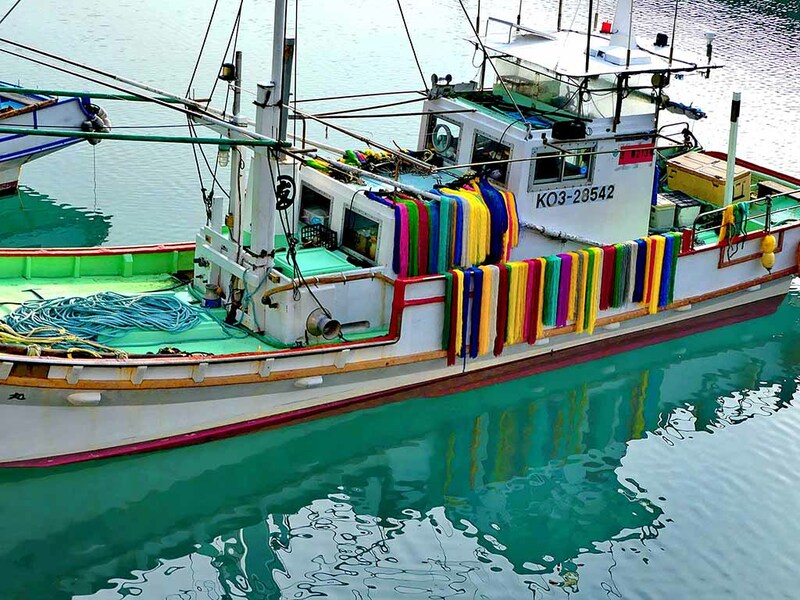 Shikoku Island - Japan off the beaten track. This exclusive journey is the most comprehensive escorted tour of Shikoku Island presently on the market. Shikoku Island, wedged between Kyushu and Honshu, with the Seto Inland Sea to its north and the Pacific Ocean to its south, is the smallest of Japan's four main islands. Isolated throughout history, Shikoku was until 1988, only accessible by ferry boat across broad stretches of treacherous water. Even after the construction of three gigantic bridge complexes across the Seto Inland Sea, most of Shikoku is still largely untouched by mass tourism. This is a place of wild natural beauty, steeped in colourful legend and history, dotted with 88 pilgrimage temples and shrines, picturesque fishing villages and rural landscapes. Deep in the centre of the island we visit Iya Valley, one of the three hidden regions of Japan. Truly off the beaten track, Iya presents visitors with forest draped mountains, deep ravines and vine bridges crossing crystal clear streams. Here we find Oboke and Koboke gorges on the Yoshino River, whose steep cliffs and dramatic rock formations were a safe haven for the Heike Clan after their defeat by the Genji Clan during civil wars of the 12th century. Along the coast we find terraced hillside villages, quaint fishing harbours, weird wave worn rock formations, sea caves, beaches, 80 metre high sea cliffs, winding ocean front roads and even colourful tropical fish. This pioneering journey will reward participants with a rare glimpse into parts of untouched Japan, where the pace of life is slow, population is low and photo opportunities appear around every corner. Kyushu Island - Ancient burial mounds, rock carvings, bubbling mud pools. Take a boat ride in Takachiho Gorge, a narrow chasm cut through the rocky landscape by Gokase River. Within the gorge we see the 17 metre high Minainotaki Waterfall. Marvel at the Usuki Stone Buddhas, carved from a rocky cliff face during the 12th century, these 59 stone statues are designated as a National Treasure of Japan. Wander around The Hells of Beppu to see bubbling mud pools as well as blue and orange coloured spa pools. Visit Mt Aso where we see extensive grasslands in an 18km wide caldera. Look down into the steaming volcano crater, see a panoramic multi-screen film of nature・s dynamic power, zoom in close to real time activity using high power TV monitors and learn about the flora and fauna adapted to live here. On top of Mt Aso we plan to walk around part of the active volcano・s crater rim. Visit the ancient Kofun 'Tumuli' burial mounds, built during the oldest era of recorded history in Japan, dating from around 1,800 years ago. See artefacts found during archaeological excavations of the area to gain an insight into the people and their lifestyle. Off the beaten track, few Japanese speak English. This stops most independent travellers from finding those little known out of the way places, that add great interest to your tour and create such a memorable experience. 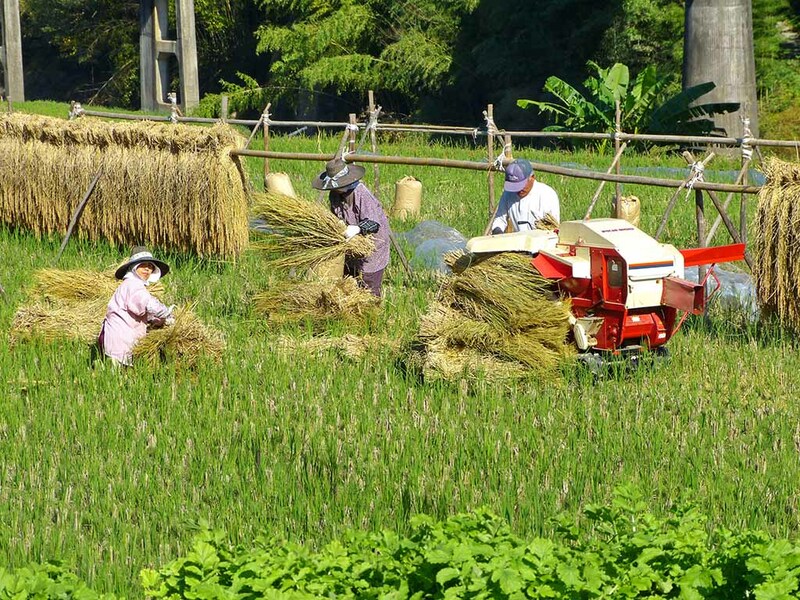 On this Toursgallery escorted small group tour you will be accompanied every day by an Australian Tour Director as well as a Japanese professional Tour Manager. 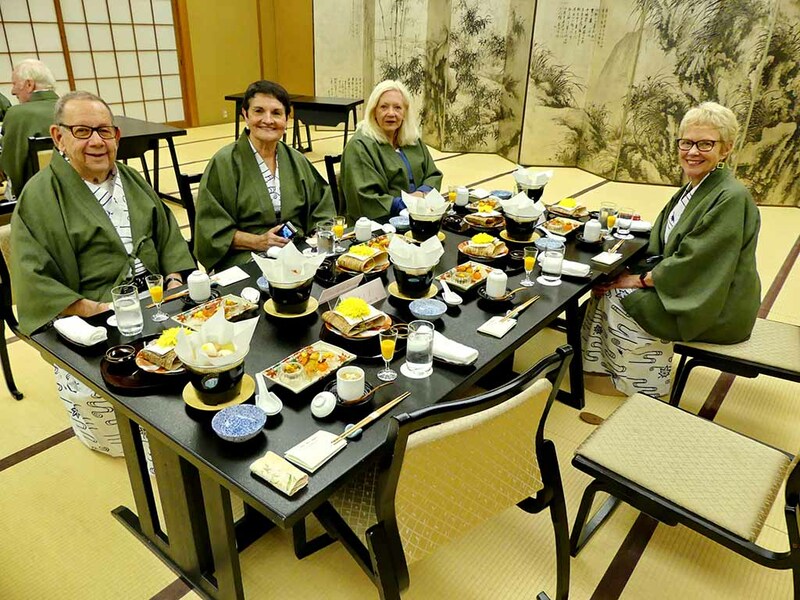 Ken Osetroff and Mayumi Gray have been creating and escorting Japan Tours for many years and understand the requirements, likes and dislikes of western visitors to Japan. 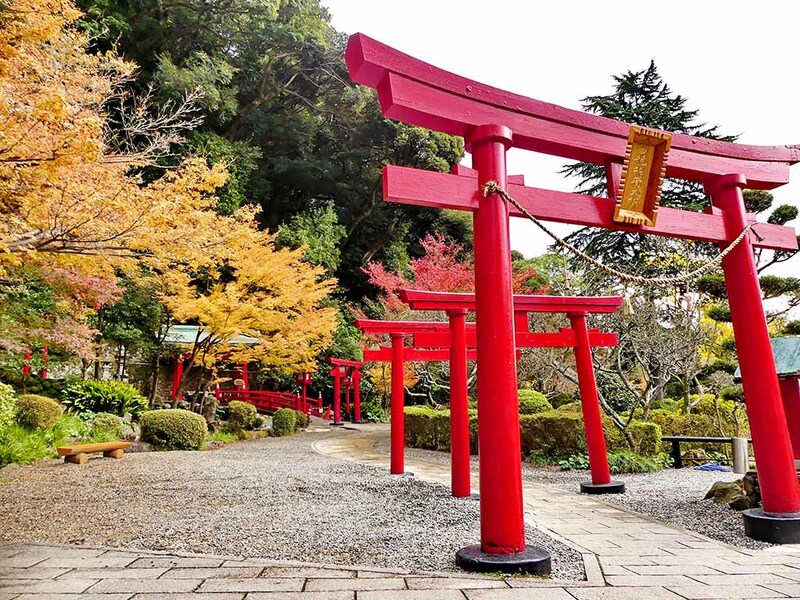 Mayumi Gray is more than an interpreter and is there to help you explore and understand Japan, find places that are unexpected and inspiring and introduce you to the local people. Tour members will all attend a private blessing ceremony by a Buddhist Monk. We take time, to stroll through rural villages, wander along the coastal trails, along cliff tops to lighthouses and hidden coves. Photographers should keep an eye out for monkeys, raptors circling overhead and colourful mass blooming of wildflowers. Visit Kochi morning markets, explore Kochi castle, admire traditional landscaped gardens and cross one of the worlds longest bridges. 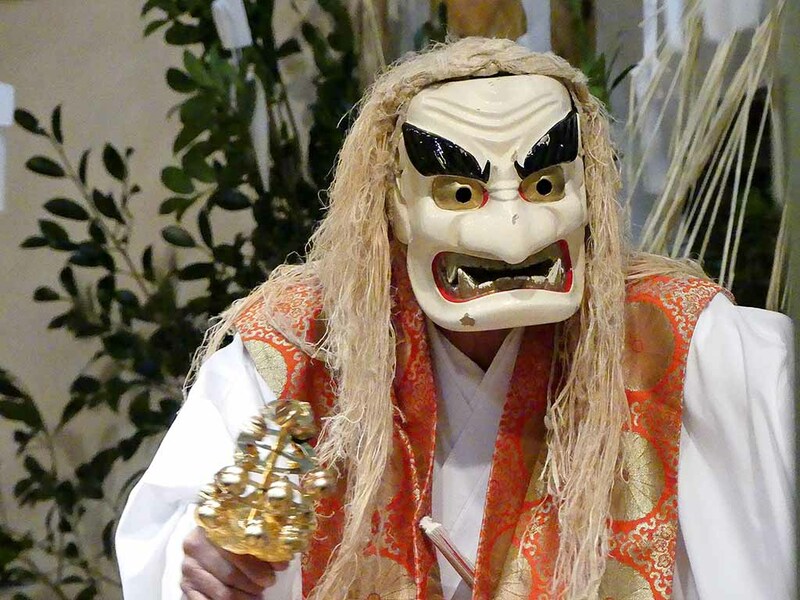 Take a boat ride into the middle of a 30 metre wide tidal whirlpool, visit an indigo dye workshop, experience how to manipulate a Japanese theatre puppet and visit Ritsurin, one of the great traditional stroll gardens of Japan. Visit the Edo Period towns of Ozu and Uchiko with their Samurai residences, antique and old memorabilia shops. Nature lovers can enjoy the charms of Oboke Gorge, Tatsukushi Marine Park, Cape Komo, Ashizuri Underwater Observatory, Nametoko Gorge, Cape Ashizuri, the Twin Vine Bridges of Higashi Iya, Shimanto and Yoshino Rivers. Join us to experience Japan as very few western travellers have done before. A visit to Japan should be a wonderful cultural experience. For those with a spirit of adventure and a willingness to adapt to new ways of doing things it is an adventure of a lifetime. 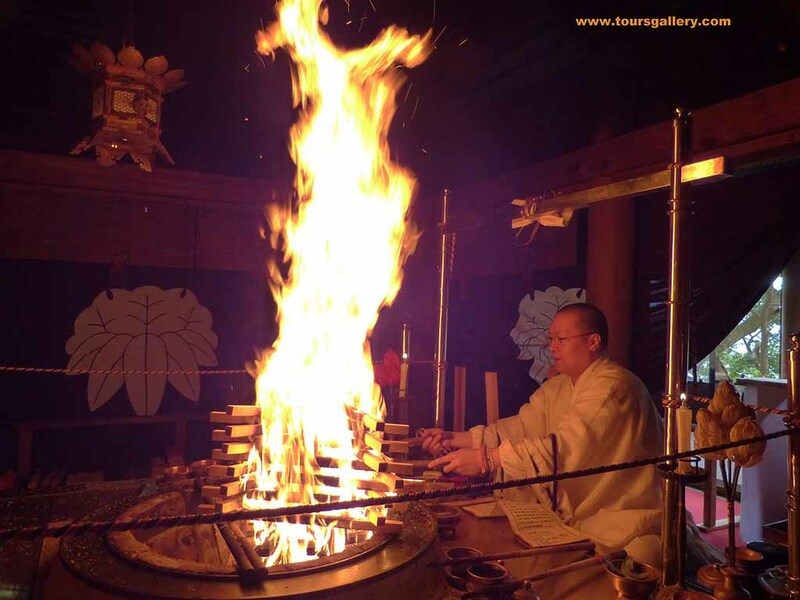 Even day to day aspects such as sleeping in traditional Japanese style accommodation, bathing in hot springs and trying all the culinary delights of Japanese food, all take on a new significance and become fun events. Shikoku is renowned for its wonderful array of seafood and our traditional ryokan accommodation along the coast will provide you with some truly tasty seafood banquets. Relax in the therapeutic waters of a natural spa bath at an Onsen, delight in the fine flavours and presentation of a Japanese banquet dinner and take an evening stroll dressed in your (yukata) cotton gown with big sleeves and (geta) wooden sandals supplied by your inn. The picturesque architecture of exquisite wooden buildings, (shoji) sliding paper doors, tatami mat floors, carp ponds, courtyard gardens and stone lanterns create for you an image that is unmistakably 'Japan'. A welcome bow from a courteous innkeeper and friendly service make you feel like part of the family. Red, yellow and golden coloured autumn leaves should be seen in the mountains of Shikoku and Kyushu during this tour. Mountain forests cloaked in deciduous forest and serene Zen landscape gardens offer numerous photo opportunities. We will visit Ritsurin, considered to be one of the great Japanese traditional style stroll gardens, Tenshaen Garden that dates back to 1866 and the romantic landscape gardens of Garyu Mountain Villa with its moon viewing pavilion overlooking Hiji River. 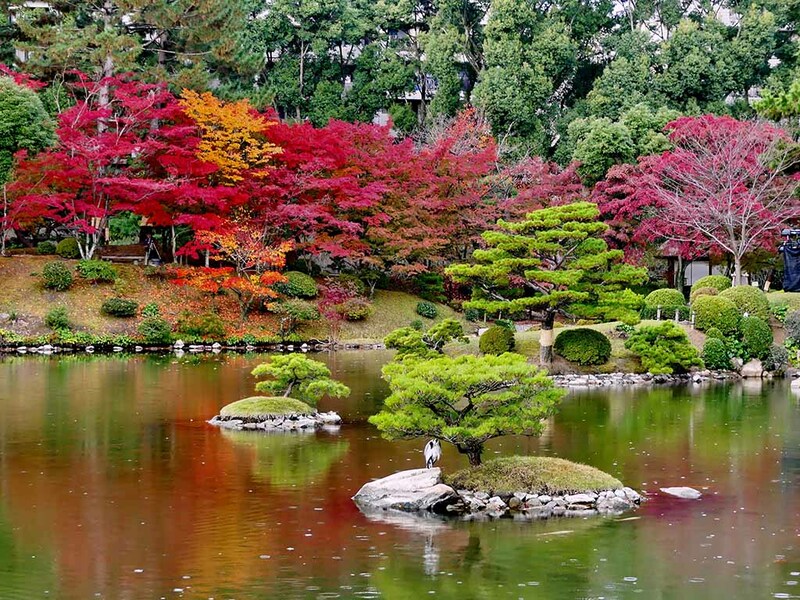 In Japan you will find some of the most striking scenery in eastern Asia. Most people think of Japan as being densely populated but this is true only of the central coast lowlands of Honshu. Over four fifths of the country is mountainous and there is a much greater percentage of forest cover than in western Europe. Nowhere in Japan is far from the sea and this has an immeasurable influence on both landscape and people. Superficially westernised, Japan presents endless paradoxes and enigmas to western travellers, few of whom know much about it beyond its shiny consumer exports. It is despite the veneer, profoundly oriental.